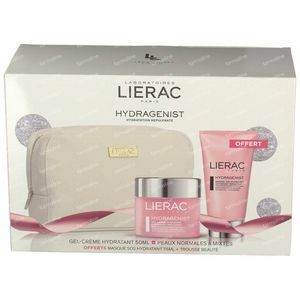 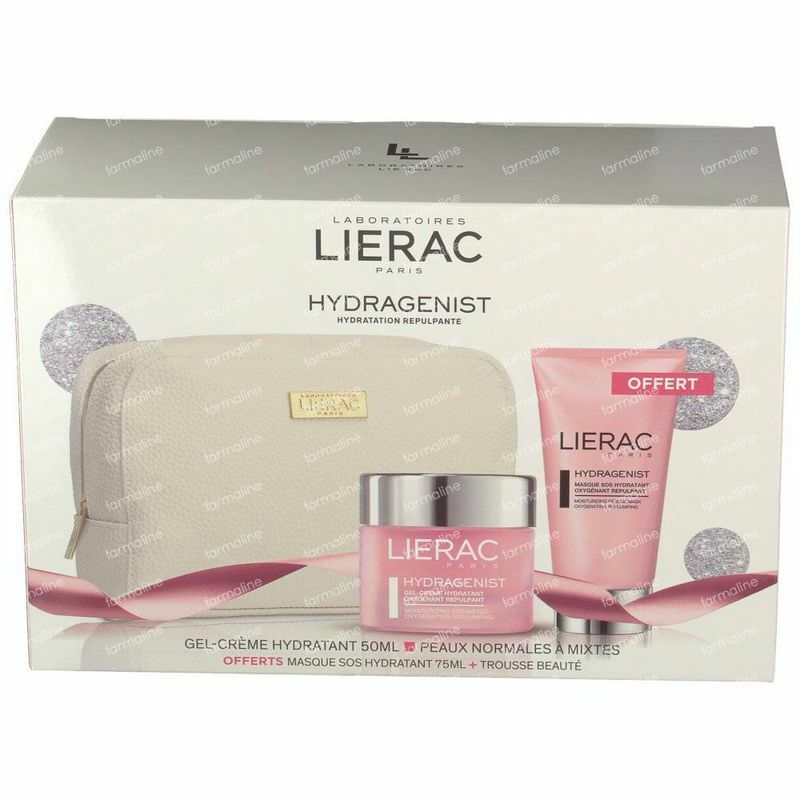 Lierac Gift Box Hydragenist Gel-Cream 50+75 ml order online. With its 7% concentration of Hydra O2 Complex, this thirst-quenching cream-gel offers the skin an intense and immediate sensation of freshness. Micro rice powder completes this formula for an instant mattifying effect. Day after day, the skin is replumped, fine lines and wrinkles are smoothed, and the complexion becomes fresher. 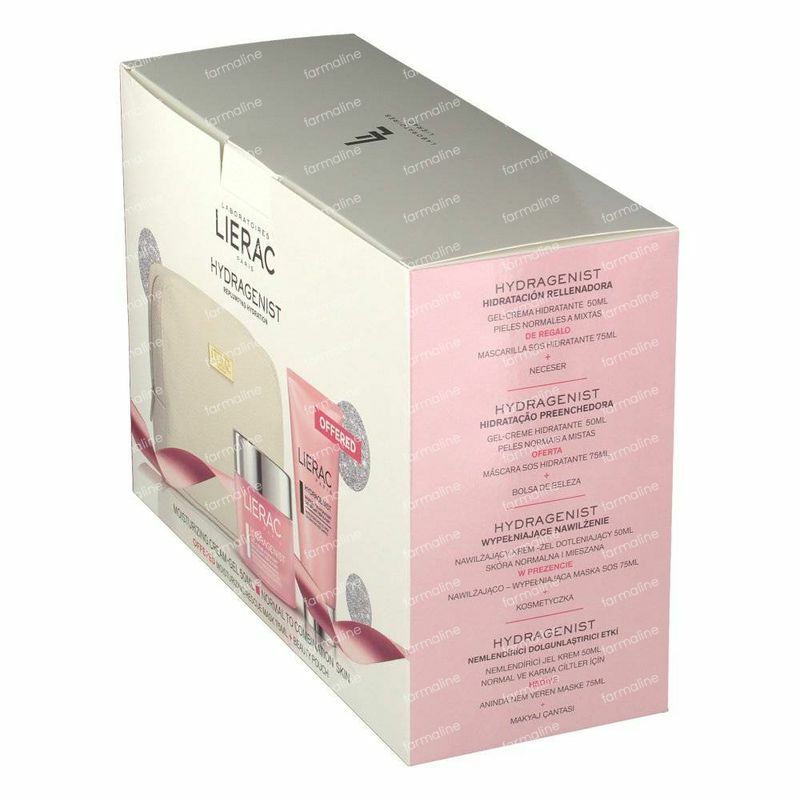 The SOS mask moisturizes the skin intensely. 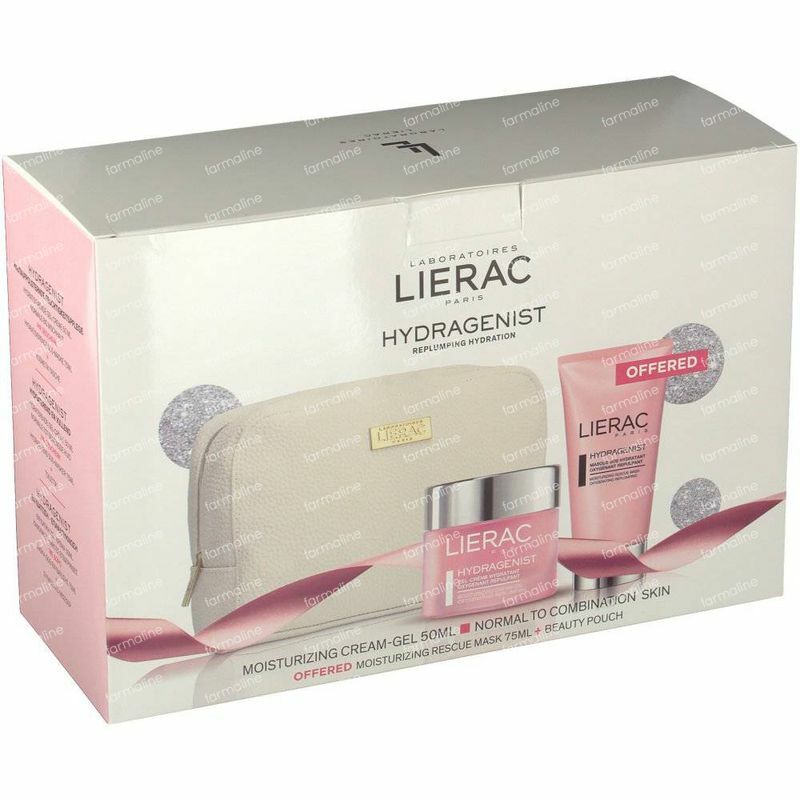 Lierac Hydragenist Hydrating/Nourishing SOS Mask is based on aesthetic tissue oxygenation technique and is concentrated in Hydra O2 and is enriched with camomile oil to moisturize the skin. 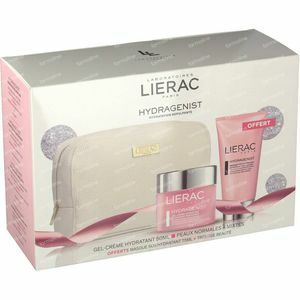 Wrinkles and fine lines are smoothed and the complexion regains its freshness. Reduces the visibility of the wrinkles and the fine lines. Apply the cream-gel to the face in the morning and/or at night, alone or after the moisturizing serum.